Oh February, how do I love thee….or not, depending on your relationship status. In the month filled with all things hearts and flowers, people tend to fall on one side or the other – they either LOVE Valentine’s Day or the HATE it. I happen to love it – not in the romantic – I must have a candle lit dinner with my one true love on this very day because the calendar says so – but because it’s fun. It’s fun to celebrate with my kids and as a family. I totally understand though, those that don’t appreciate the holiday. So – if you absolutely despise Valentine’s Day and all things pink, red, and hearts, what are you to do for the month of February? 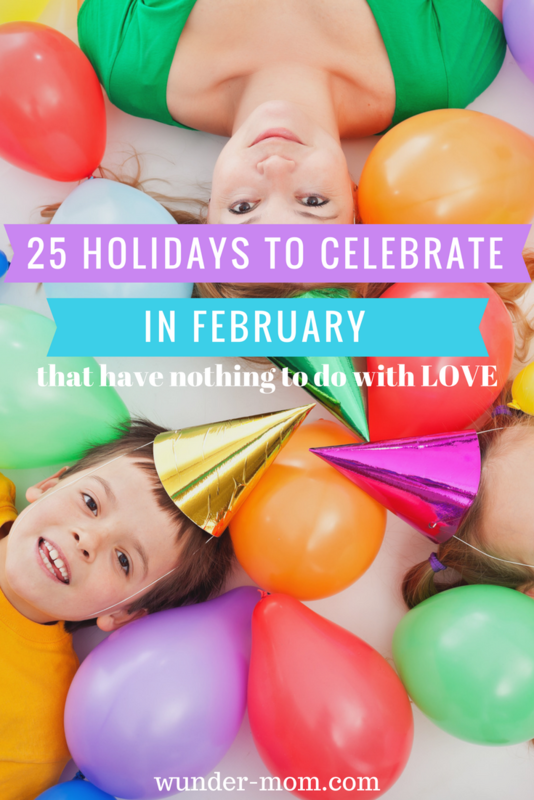 Well you could certainly celebrate one of these wacky holidays that have nothing to do with love! Then of course, you won’t feel left out or completely annoyed when everyone around you is talking about their plans for the “big day”. February 2 – Groundhog Day – celebrate by check out your own shadows and making a fun Groundhog craft. February 4 – Feed the Birds Day – by February winter is in full swing and those birdies are running out of food, give them a give and make a pine cone bird feeder to hang on your tree. First Saturday in February – Eat Ice Cream for Breakfast Day – and if you’re going to eat it, why not make your own in a bag! February 7 – Send a Card to a Friend Day – print and color your own cards and send them to all of your friends and family. February 8 – Kite Flying Day – of course you can fly any kite, but I’d much rather build my own and then take it out for a spin. If the weather isn’t cooperating stay inside a decorate a beautiful paper kite collage. February 10 – Umbrella Day – tut tut! It looks like rain! (or so says Christopher Robin) and even if it doesn’t you can still celebrate umbrella day with an umbrella craft. February 11 – Make a Friend Day, National Inventor’s Day, and White T-Shirt Day – well of course if it’s national inventor’s day then you MUST invent something! And why not make a new friend and invite them over to help! February 12 – Plum Pudding Day & Abraham Lincoln’s Birthday – have you ever had plum pudding? No? Go ahead and make this plum pudding recipe and let me know how it is! While you’re at it, wear a Abraham Lincoln top hat. February 15 – National Gum Drop Day – Gum Drops? Say no more! I’ve go the perfect Gum Drop STEM activity for you! February 17 – Random Acts of Kindness Day – throw kindness around like confetti with these 100 ways to love your neighbor and encourage your kids to be kind everyday by starting a kindness jar for positive reinforcement. February 18 – National Drink Wine Day – ok, so the kids can’t participate in this one, but I know I’ll be celebrating with my favorite glass! February 19 – National Chocolate Mint Day – yummmm so many delicious chocolate mint recipes to try – no bake mint chocolate pie is a favorite! February 20 – Cherry Pie Day & Love Your Pet Day – cherry pie??? Yes please!! And make sure you show a little extra affection to your favorite pooch and make them some homemade dog treats. February 22 – George Washington’s Birthday – If you’re in the Northern Virginia area then I highly recommend a trip to Mt. Vernon, the home and estate of George Washington turned museum grounds. If you can’t make it out there then a President’s Day Craft will do just fine. February 23- Tennis Day – grab your racquet and hit the court, or play a round of Balloon Tennis! February 24 – National Tortilla Chip Day – Tortilla Chips? My fave!! I love a good dip recipe too, and since we’re celebrating tortilla chips I guess I should try my hand at making my own. February 26 – Pistachio Day & Tell A Fairy Tale Day – Oh a good Pistachio cupcake recipe is order for sure! And maybe snuggling up and reading our favorite fairy tails. February 27 – Polar Bear Day – Let’s read about polar bears, watch movies about polar bears, and of course play with polar bears in an arctic small world! February 28 – National Tooth Fairy Day – today is the day that I should probably send a note from the tooth fairy to apologize for all those times the tooth fairy didn’t come. Or we can just make some tooth fairy exchange boxes and call it a day! So what do you think? 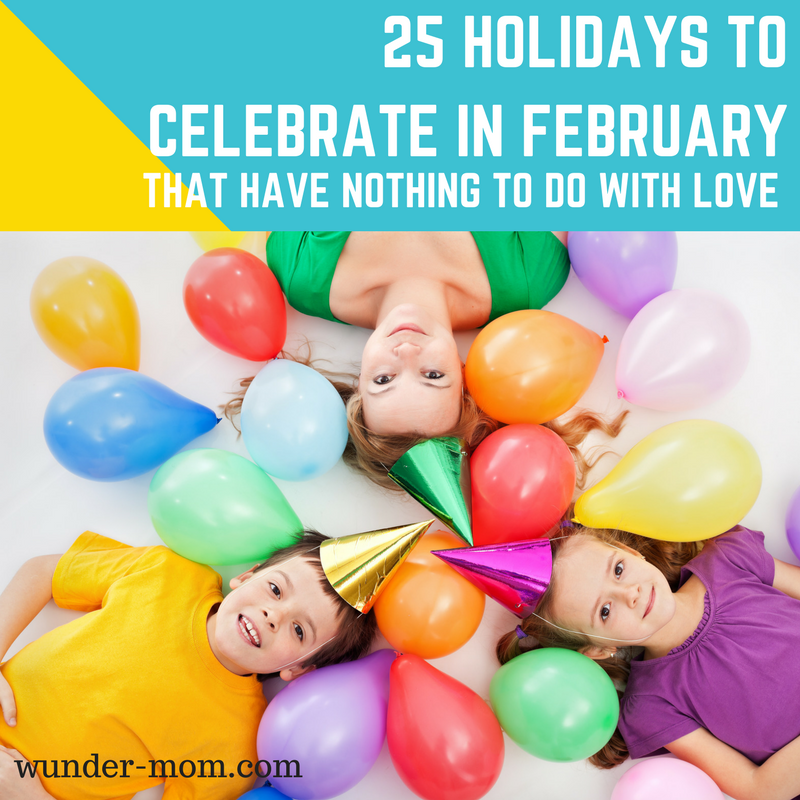 Will you be celebrating one of these Holidays that have nothing to do with love this February? I’d love to hear all about it! OH and if you DO love Valentine’s Day then you will definitely want to check out our favorite tradition and way our family celebrates Valentine’s Day.